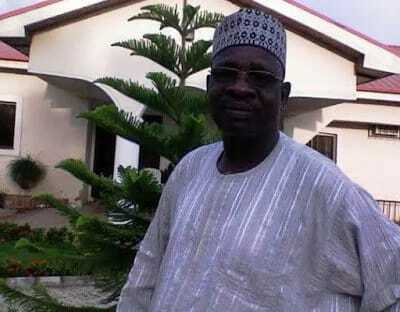 Omar Hambagda‎, an ex-senator from Borno south senatorial district, has died, the Nigerian Senate has confirmed. Ali Ndume, Senate leader, had raised a point of order today, June 1, to announce the passing of Hambagda, who was in the fifth and sixth Senate. Senator Omar Hambagda, a staunch supporter of former President Olusegun Obasanjo’s third-term agenda, died on Democracy Day, May 29, at age 67. Born July 28, 1949, Hambagda chaired a subcommittee of the National Assembly constitution review panel in 2005-2006, that initiated the third term clause, which would have given former president Olusegun Obasanjo a chance to run for a third term in 2007. The deceased was survived by a wife and 16 children. Meanwhile, Senate President Bukola Saraki has said that the Senate would work out an internal mechanism of aiding ex-members. Saraki’s remarks comes after a complain from James Manager, the senator representing Delta South Senatorial District at the National Assembly that the Late Omar Hambagda was not well taken care of after he left the Senate.